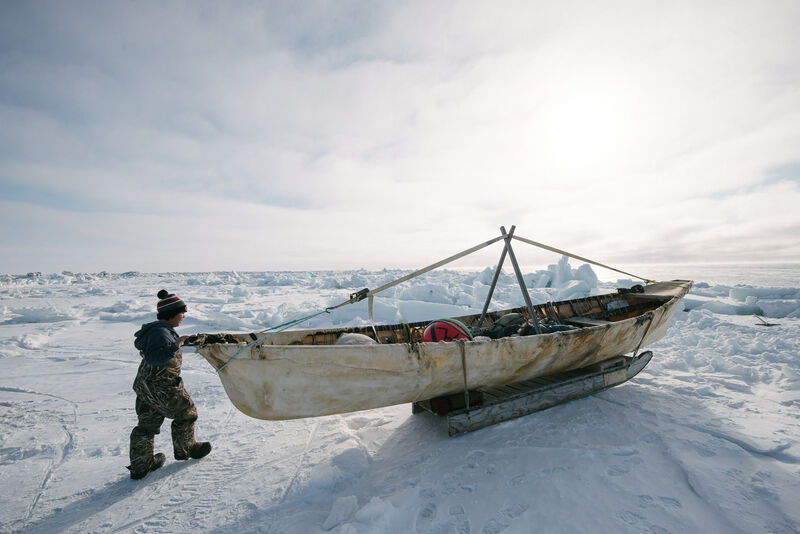 Seven-year old Steven Reich examines his father's umiaq, or skinboat used for whaling. His father Qallu, captain of Yugu crew, expresses nervous excitement to bring Steven out whaling on the ice for the first time: "I am proud of my son; he's here to learn to be a hunter. " Despite the enthusiasm, Qallu is anxious about safely reading the changing conditions of the ice.